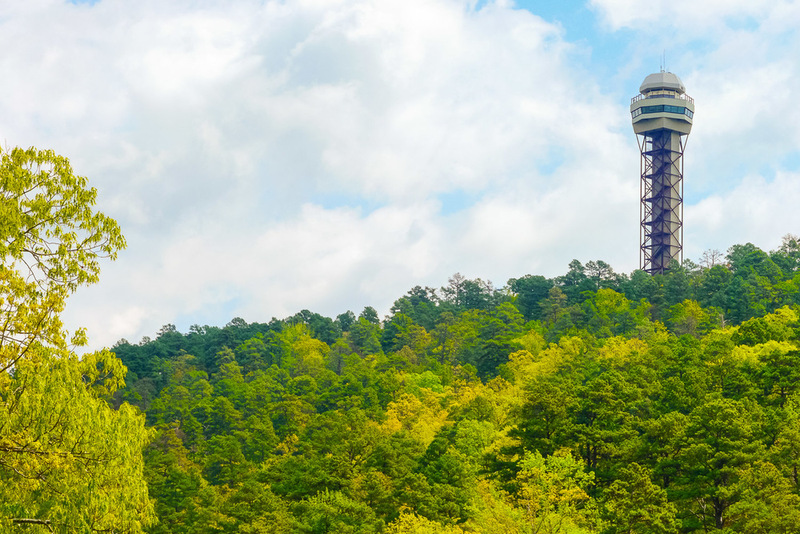 While not a capital city high on travellers’ bucket lists, the small town of Hot Springs, Arkansas is a delightful place to spend a weekend (or longer) where you can indulge in spa treatments, get out into nature, and eat and drink some of that hot springs water too. 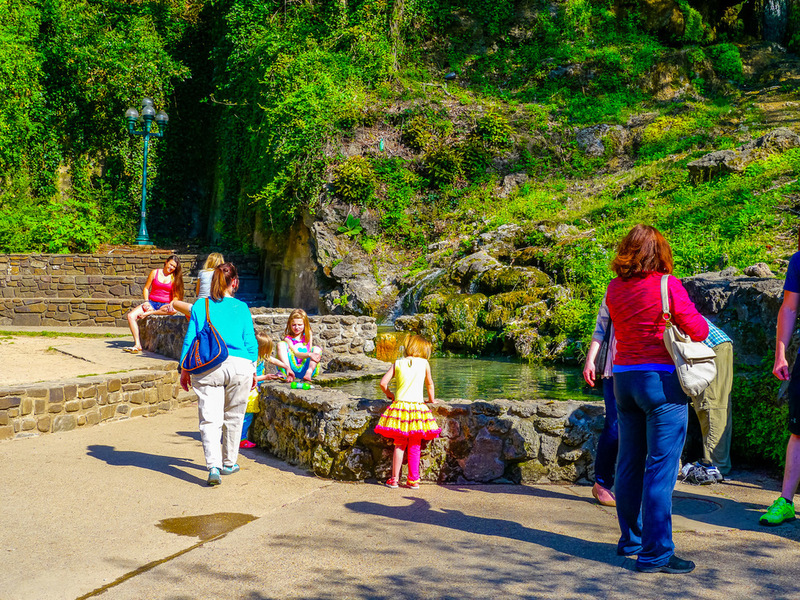 Just an hour’s drive west from Little Rock, Hot Springs is home to both a town and a national park. Four sections of land were designated by President Andrew Jackson in 1832, the first time land had been set aside to protect a natural resource (and 40 years before Yellowstone became a national park). The hot springs here have been enjoyed since before recorded history, and their reputation is not just relaxing visitors, but bringing peace. Indigenous peoples came to bathe in the waters and it is said that warring tribes put aside their differences. 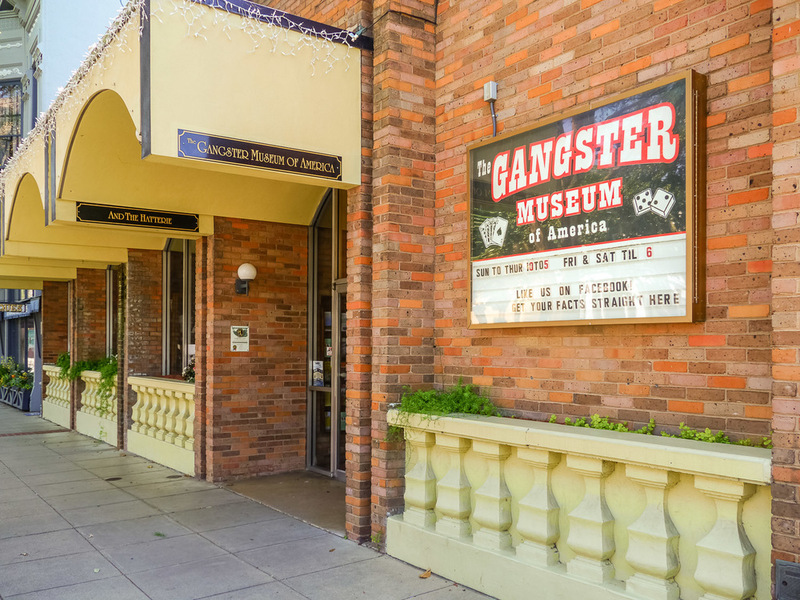 Later, Chicago and New York gangsters like Al “Scarface” Capone and Lucky Luciano spent a lot of time in Hot Springs. They labelled “Bubbles” as neutral territory so they and their rivals could enjoy their gambling, drinking, other illegal activities and the hot springs in peace. 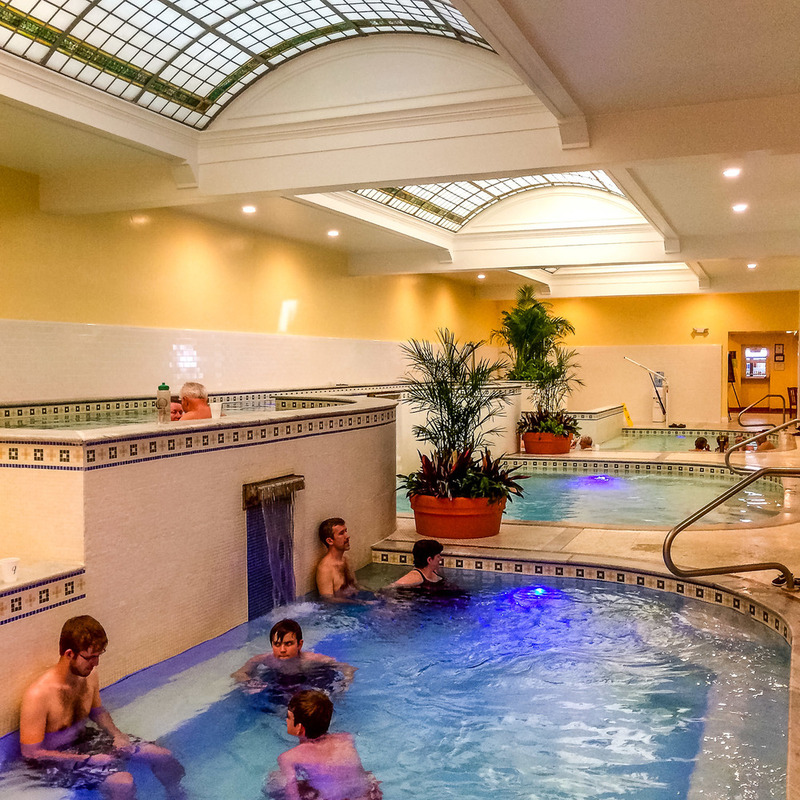 Baseball players, who tend to keep their rivalries on the diamond anyway, also frequented Hot Springs — many teams had spring training here so they could soothe sore muscles in the baths afterward. Hot Springs even spent a time as Major League Baseball’s off-season capital, and Babe Ruth was a frequent visitor. 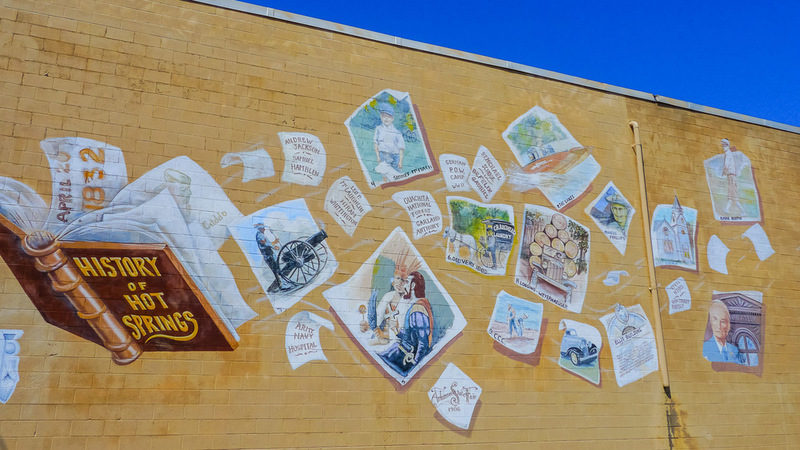 The town’s most famous resident is President Bill Clinton. He moved to Hot Springs for elementary school and graduated from Hot Springs High School. He returned often as governor and president, usually finding a way to fit in a visit to his favourite barbeque restaurant, McClard’s Bar-B-Q. Those really wanting to delve into Hot Springs’ history will want to stay at The Arlington. Those preferring something on a smaller scale in the countryside will enjoy Lookout Point Lakeside Inn, an environmentally-inclined B&B on the shores of Lake Hamilton. 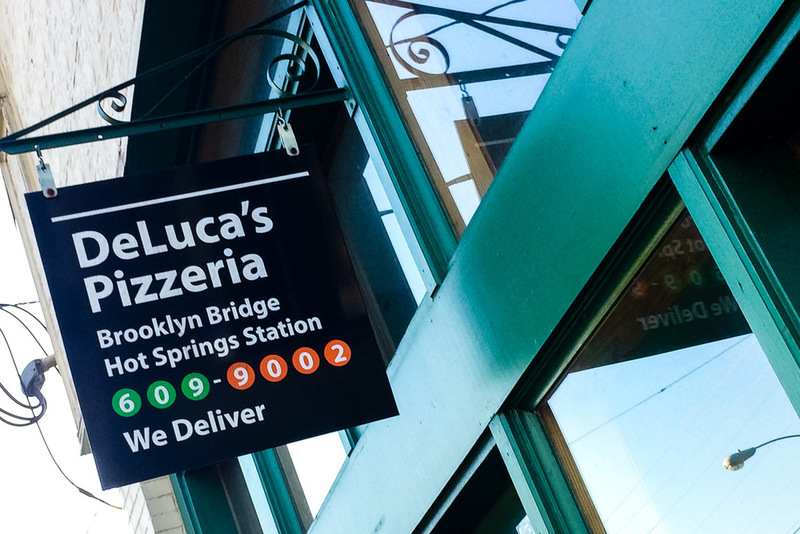 Your first dinner needs to be at DeLuca’s Pizzeria — if it’s busy or sold out your first night, you want to make sure you can visit another time before you leave. You’ll probably love it so much you’ll want to try something else tomorrow night! Chef and owner Anthony Valinoti makes phenomenal pizzas using as many local ingredients as possible, including the hot springs water in the dough he handmakes daily. 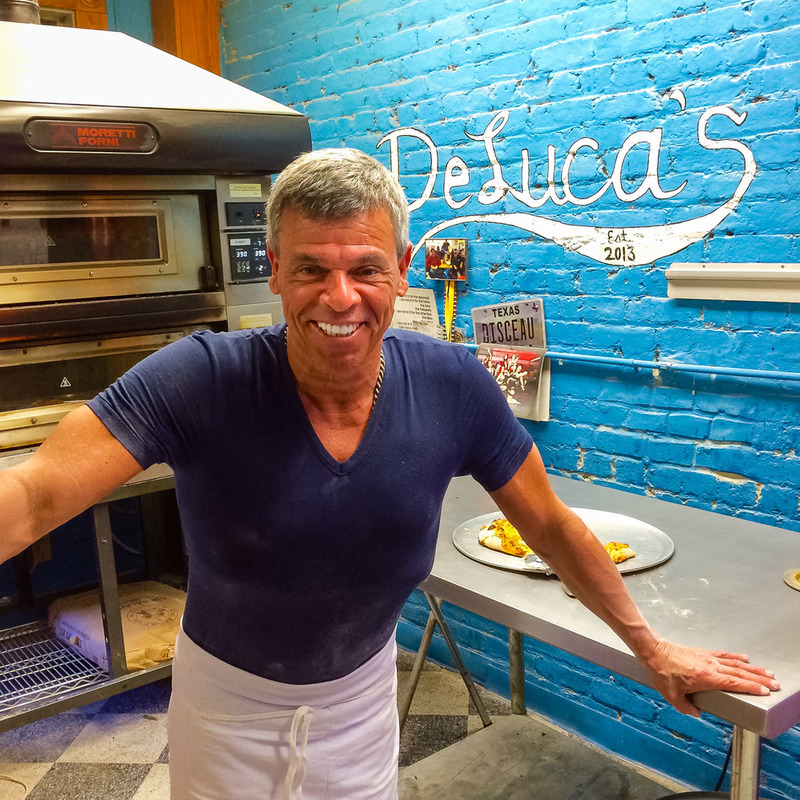 He bakes both classic pizzas and innovative ones, all using hand-selected ingredients. Try the Patsy Searcy pie — with soppresatta, peppers, chili oil and, believe it or not, honey — it’s perfect. Don’t miss the caprese and arugula salads, both made with local veg. After dinner, check out the live music at the Ohio Club. As Arkansas’ oldest bar, the club is full of history. It was even a club — well, more accurately a speakeasy — when it was called the Ohio Cigar Store. One just needed to know the secret password to get past the false wall to gamble and drink during Prohibition. If you’re here on a Wednesday, the talented Hump Day Blues Band is most likely playing. Thursdays are jazz nights, with different styles every other night of the week. Perhaps you’ll see a future Al Jolson, Mae West, Sammy Davis Jr or Tony Bennett — they’ve all been on stage here. Audience members of the past include Al Capone and Babe Ruth. 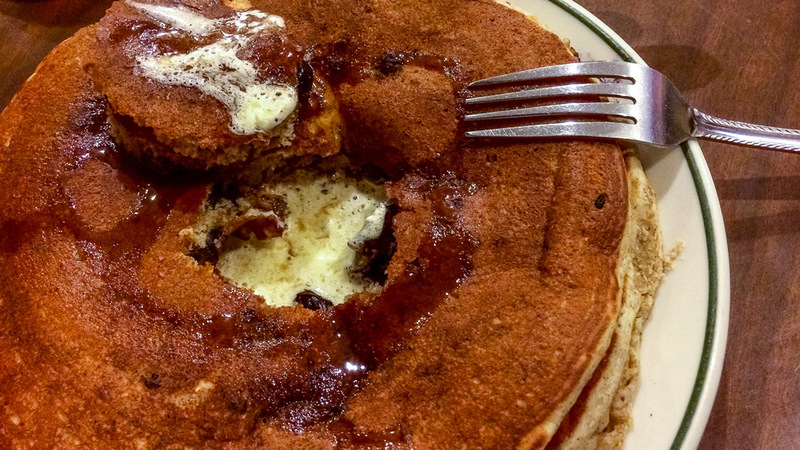 If you’re in need of a big breakfast, try Hot Springs’ breakfast institution The Pancake Shop, which opened in 1940. Not much has changed since then — their orange juice is still fresh-squeezed, the pancakes still made from scratch and served with real butter and warm maple syrup, and everything is made to order. Owner Keely Ardman DeSalvo is often found welcoming guests to her family’s institution. After your big breakfast, you’ll need some exercise. Hike or mountain bike through Hot Springs National Park. Keep your eye out for puffs of steam through the oak, hickory and shortleaf pine trees — they show where natural hot springs are flowing underneath the park (though they’re mostly covered to prevent contamination). Dip a hand into the fountain at the park’s entrance at the corner of Fountain Street and Central Avenue — the hot spring water here is actually cooled to make it safe for visitors. Stay in the national park and stroll along Bathhouse Row, admiring the historical architecture and restorations. Most of the buildings here are from the 1920s and 1930s. Design ranges from Neoclassical and Classical Revival to Spanish Colonial and Renaissance Revival to California Modern. Inside the Fordyce Bathhouse is a free museum. Explore this ornate building’s 23 rooms outfitted with period furniture, clothing and equipment, including steam cabinets. Learn how the rain that fell 4,000 years ago is heated naturally and comes back up to the earth’s surface to flow through the park’s fountains and bathhouses at a rate of 700,000 gallons per day. There are interesting displays showing vignettes of African Americans’ experiences in Hot Springs too. While they were legally allowed to work in the bathhouses after the Jim Crow laws were enacted, they were not allowed to bathe in most of them until the Civil Rights Act of 1964. For lunch, stay on Bathhouse Row and go to the Superior Bathhouse Brewery and Distillery. Housed in one of the old historical bathhouses on Bathhouse Row, it’s the only brewery located in an American national park. Their lunch and dinner menus feature seasonal locally-grown products and aim to be a showcase for local culinary artisans. Their beers, spirits and draught root beer are made with the national park’s natural spring water too. 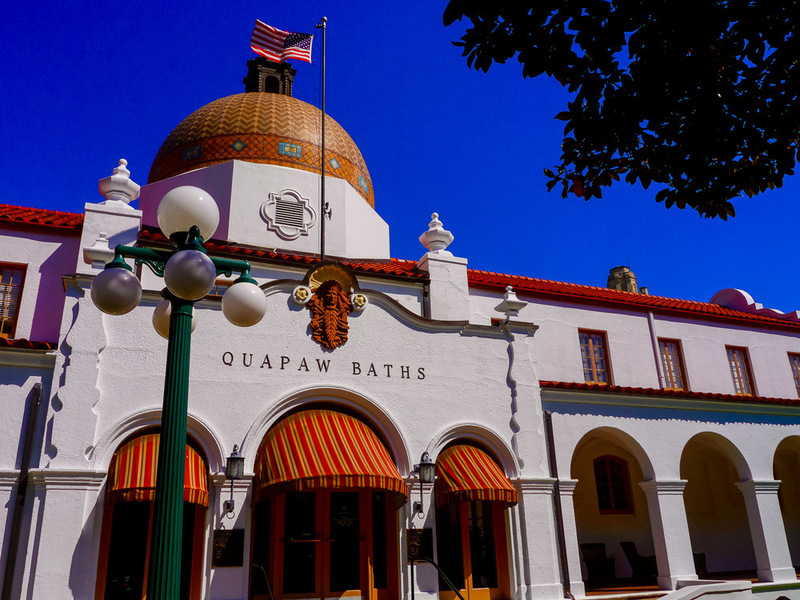 After lunch go to the Quapaw Baths to “take the waters”. The spring water is cooled from the 143°F at which it comes out of the ground and funneled into four pools. You can relax away the afternoon here, and add a facial, body treatment or massage too. Be sure to make a steam cave appointment, so you can inhale the eucalyptus-fragranced steam into your lungs and get an inkling into how the natural springs are turned into a spa. Try Luna Bella for a romantic dinner (make a reservation). Their Italian menu features local products and their chefs are able to handle special requests, so you'll have no concerns if you have dietary restrictions. The views out on to Lake Hamilton are gorgeous. Start your day back at Lake Hamilton at the Garvan Woodland Gardens. These gardens were created by a southern belle businesswoman and philanthropist, Verna Cook Garvan. Her story of taking control of her family’s business after the death of her father is fascinating, and not only because this was simply not done by a woman in the 1930s. The Gardens are operated as a trust with the University of Arkansas and linked with the Fay Jones School of Architecture. 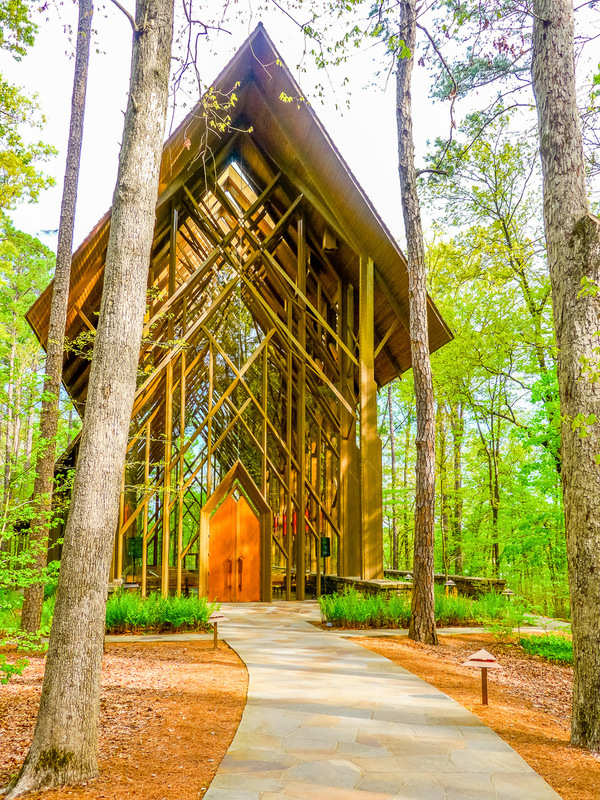 On-site is the Anthony Chapel, designed by Maurice Jennings and Fay Jones. This six-storey angled glass and wood structure provides beautiful views of the surrounding forest. The Gardens feature a nature preserve and bird sanctuary with over 120 species of birds and are full of plants and flowers in all seasons. Head back to town to check out of your hotel, and then to Rolando’s Nuevo Latino Restaurant for lunch. Owned by an Ecuadorean, Rolando Cuzco, this eatery serves Latin fare from all over Central and South America in a historic building from the 1800s. Before you head home, do as the locals do and fill up a jug with the mineral water from any of the fountains along Bathhouse Row or on Reserve Street. Because the waters are from the national park, it is free of charge and regulations prohibit private sale. You’ll want to “quaff the elixir” that many believe has curative properties. Even if you believe otherwise, the water is delicious as it lacks iron and sulphur (unusual for hot springs). Most of the fountains provide hot water; two provide cold water from underground cold springs. The hot water is safe to drink untreated, but the water from the cold fountains is treated with an ozone filtration system to ensure it is potable. The hot springs water — 4,000 year old rainwater — has a perfectly neutral pH of 7, and averages about 143°F. The water from each of the 47 hot springs is reputed to have different qualities, and doctors used to prescribe different springs for different ailments. The cool water from the Whittington Spring is estimated to be over 6,000 years old, emerging from Big Fork Chert at 66 degrees F with a pH of 7.25. The Happy Hollow water is slightly cooler at 62 degrees and more acidic at a pH of 4.5; it is estimated to be less than a century old. 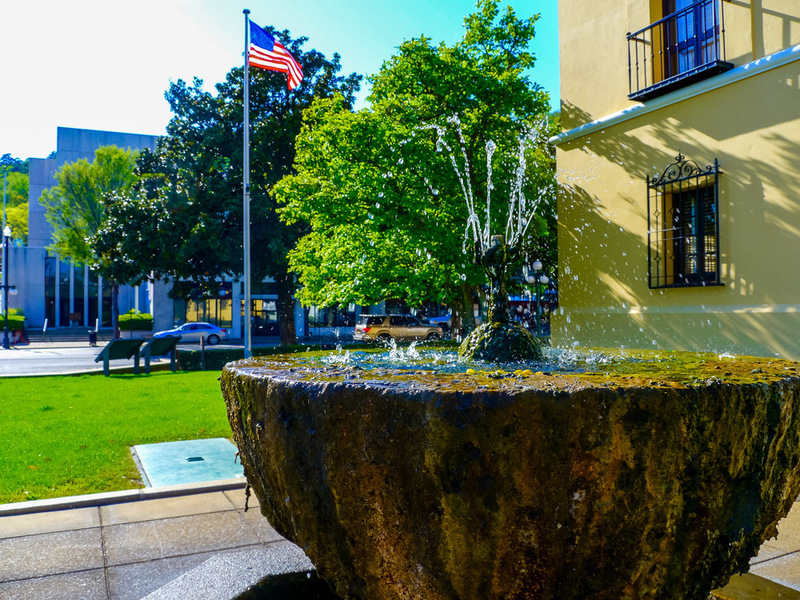 Whether you’re in Hot Springs for the therapeutic waters or for a taste of American history, you’ll want to come back. Editor's note: The writer visited Hot Springs on a hosted press trip, but all opinions are her own and no one reviewed or approved this article. Here's our Wayward Weekend travel guide to Buenos Aries, but be warned you may need more than a weekend to get beyond a taste of this city in Argentina! Journey around Brazil's Sao Paulo, in this Wayward Weekend city guide. Your travel guide to Music City.